Roland’s popular Cube-series of COSM-combos has recently been updated. 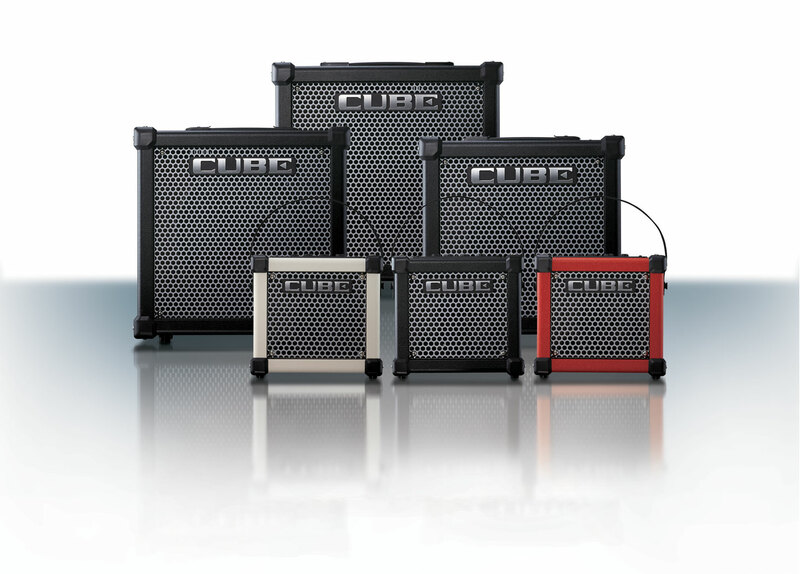 The new Cube GX-amps boast some new features, like the iCube Link (first seen in the Cube Lite), which allows you to use the guitar combo as a soundcard with Apple iOS devices. The Roland Micro Cube GX (current price in Finland 134 €) is the newest version of one of the most successful battery-powered practice amps ever. 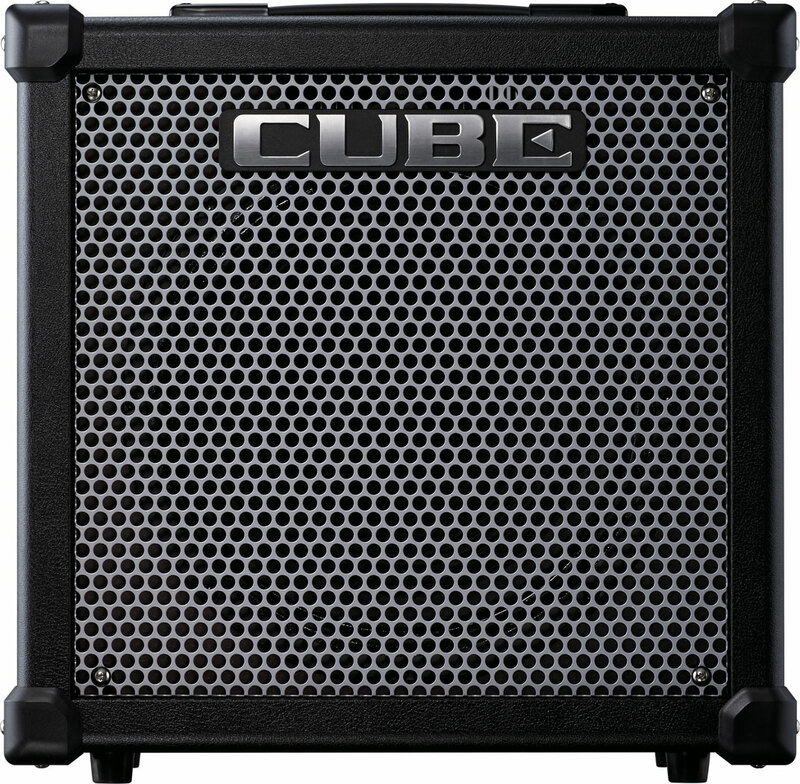 At first glance the GX-version looks very similar to the Micro Cube’s previous incarnation, with only the large Cube logo on the metal grille hinting at the combo’s updated status. The Micro Cube GX’ back panel is a good deal smaller than on the last version. The new combo sports mini-sized headphone and line-level outputs. 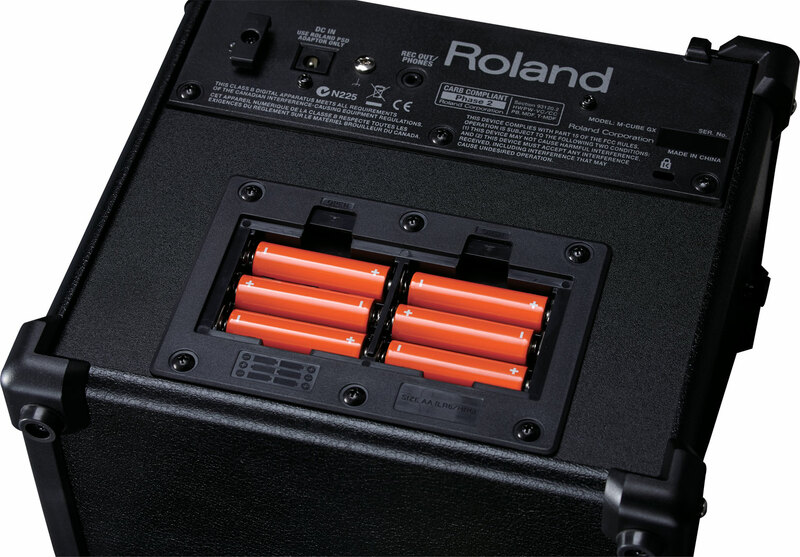 The GX still runs on six AA-batteries, but the new battery compartment is much easier to use. A power supply can be found in the box. Above the guitar input you can find the i-Cube Link connector, which allows you to hook up you iPad or iPhone to the combo using the supplied cable. Thanks to the i-Cube Link you can use the GX-amp as the iDevice’s sound-card, as well as record and practice using Roland’s free Cube Jam-app. You can get more info on the Cube Jam-app in Kitarablogi’s Cube Lite review. Another important new feature of the Micro Cube GX is the Memory-function, which offers you one memory slot per COSM Amp Type. Memory stores all settings of the chosen Amp Type, namely the settings of the Gain-, Volume-, EFX- and Delay-controls. The tuner section has also received an overhaul. The old Micro Cube came with an electronic tuning fork on-board, giving you an ”a” (or Ab or Abb) to tune to. 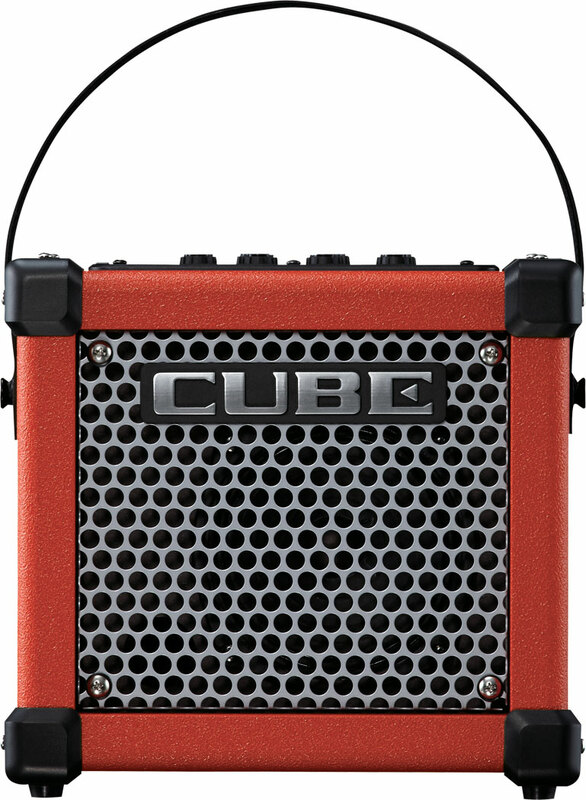 The brand-new Micro Cube GX comes equipped with a genuine digital tuner. The default setting for the tuner is chromatic, but it can also be set to A-only, which comes in handy when changing strings. 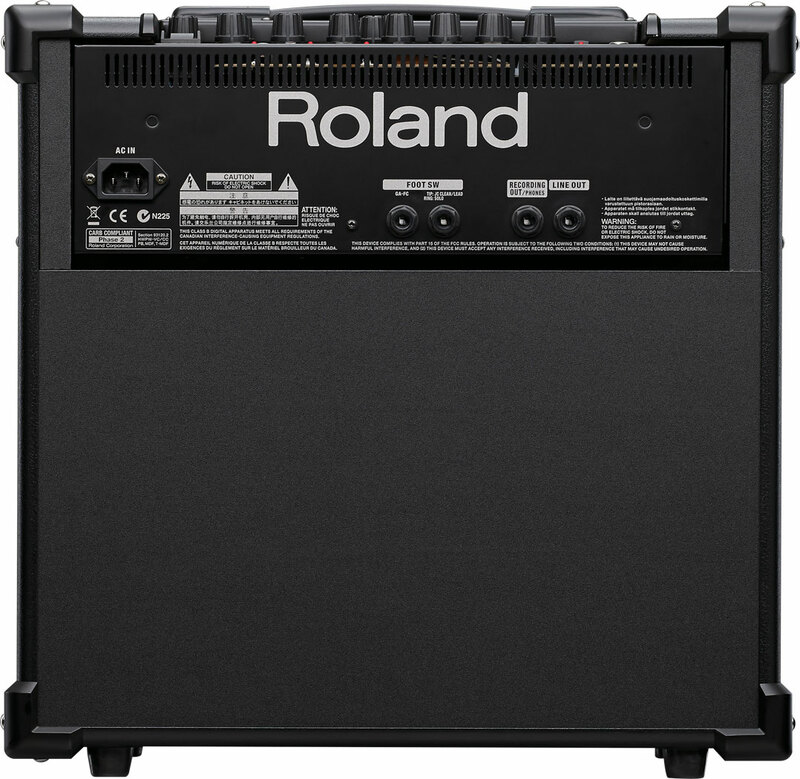 The Roland Cube-80 GX (current price in Finland 384 €) is the current top model in the GX-series, offering you 80 Watts of output power through a single 12-inch speaker. 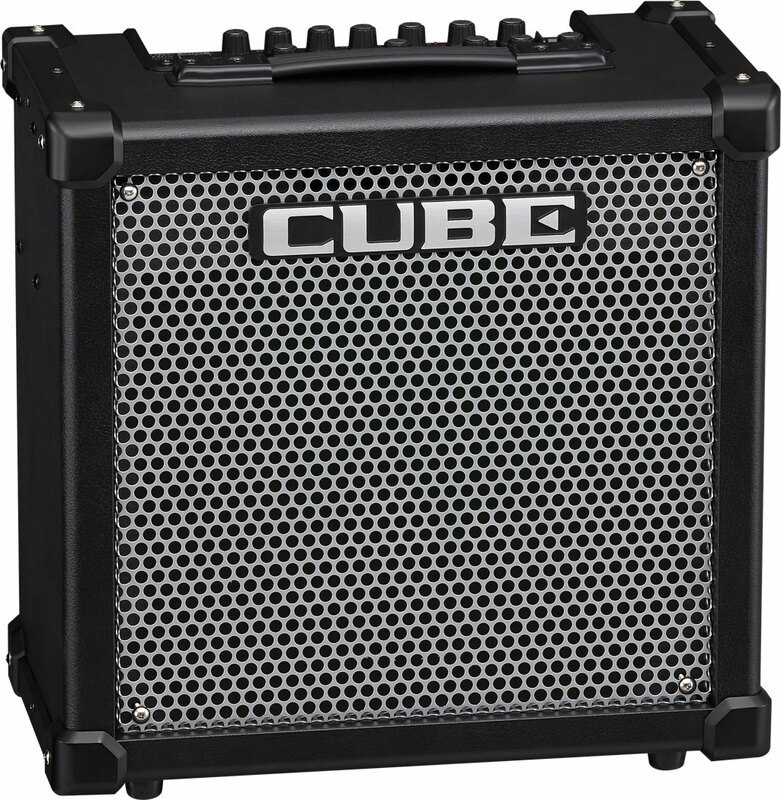 The clearest difference between the predecessor – the Cube-80 XL – and the GX-version is the addition of the i-Cube Link in favour of the old model’s built-in looper. 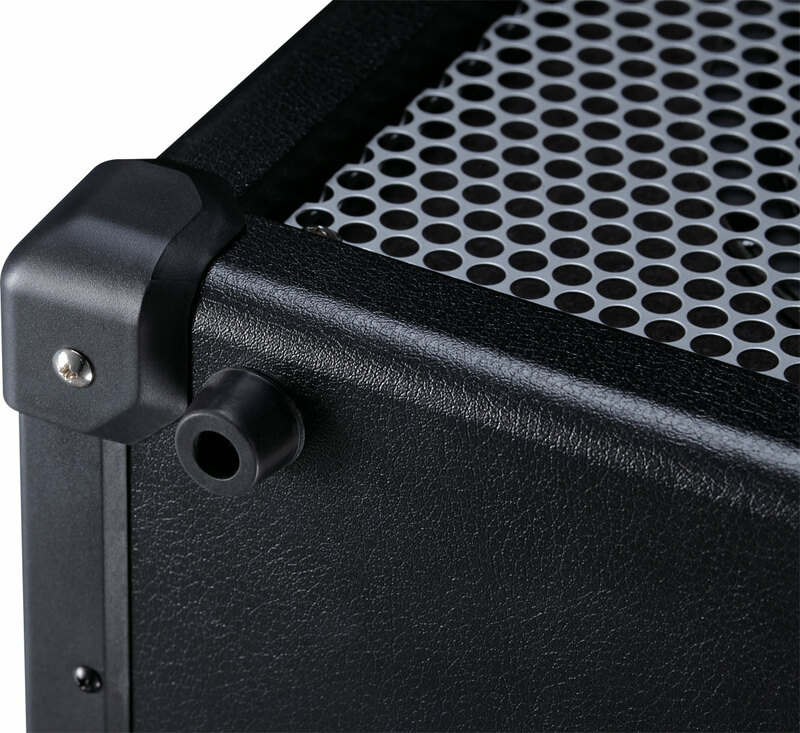 Also new is the GA-FC-connector on the amp’s back panel, which allows you to use Roland’s guitar amp foot-controller the GA-FC (optional) with the Cube-80 GX. This is what the foot-controller looks like. When used with the GX, you can switch amp channels and turn the combo’s EFX-, Delay- and Reverb-sections on/off separately. You can also connect two expression pedals to the GA-FC, if you want to adjust input and output levels on the fly. The Cube-80 GX comes supplied with a special overlay for the foot-controller, so you can change the GA-FC’s labelling to match the correct functions. 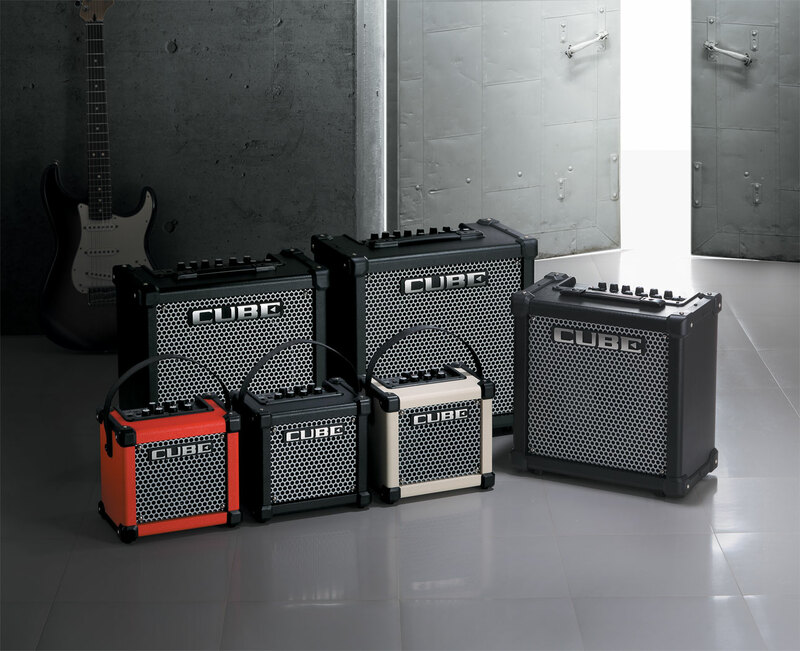 Some things have stayed the same, though, like the rugged design of the Cube-series. The JC Clean-channel is reserved for ultra-clean tones in the style of Roland’s legendary Jazz Chorus-combo. The Lead-channel, on the other hand, offers you nine different COSM-models, as well as an acoustic simulator for your occasional steel-string needs. The third channel is the so-called Solo-channel. I say ”so-called”, because actually the Solo-channel is the Cube-80 GX’ memory slot, which you can fill with any amp setting you wish, regardless of whether it is a setting for soloing or not. The crucial difference between the Solo-channel and the other two channels is the fact that the Solo-channel uses its own (stored) settings for the EQ-, EFX-, Delay- and Reverb-sections, while JC Clean- and Lead-channels have to share the current control settings. Apart from the i-Cube Link, the Cube-80 GX’ features list is very similar to the Cube-80 XL-version. You can get more info on the i-Cube Link and Roland’s free Cube Jam-app in Kitarablogi’s Cube Lite review. Roland’s brand-new Micro Cube GX offers you even more than its already legendary predecessor. 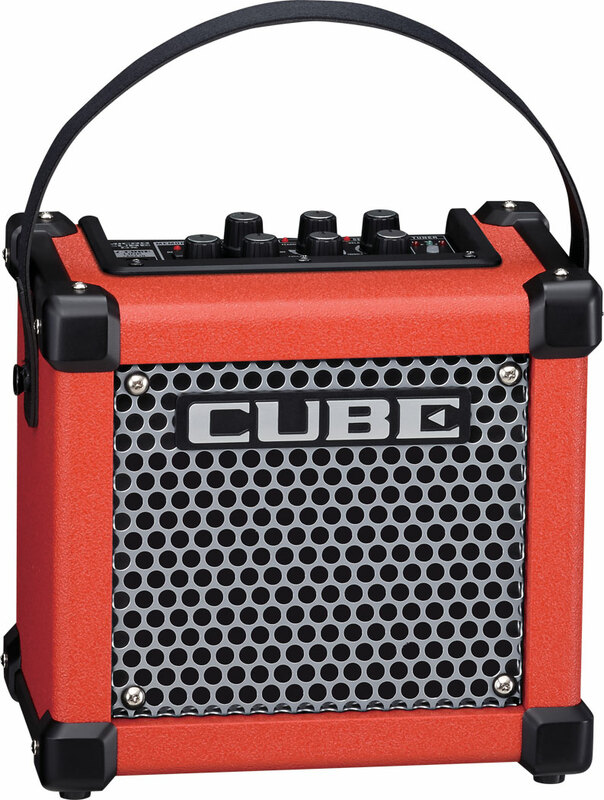 The built-in tuner makes life much easier, and the new i-Cube Link/Cube Jam functionality genuinely adds value to this diminutive powerhouse. If you own an iDevice you will have your own practice set-up up and running in no time. The little GX-combo also gives you three new sounds – the fantastically über-Metal amp type called Extreme, a fine polyphonic octaver effect, as well as a spring reverb model. The Micro Cube GX’ spring reverb simulation sounds good, but very small area designated for it on the Reverb-control doesn’t allow for much in terms of tailoring the spring reverb. It’s more of an on/off affair. Overall the GX sounds better than the original Micro Cube, with more realistic amp simulations and clearly less hiss in the effect section. 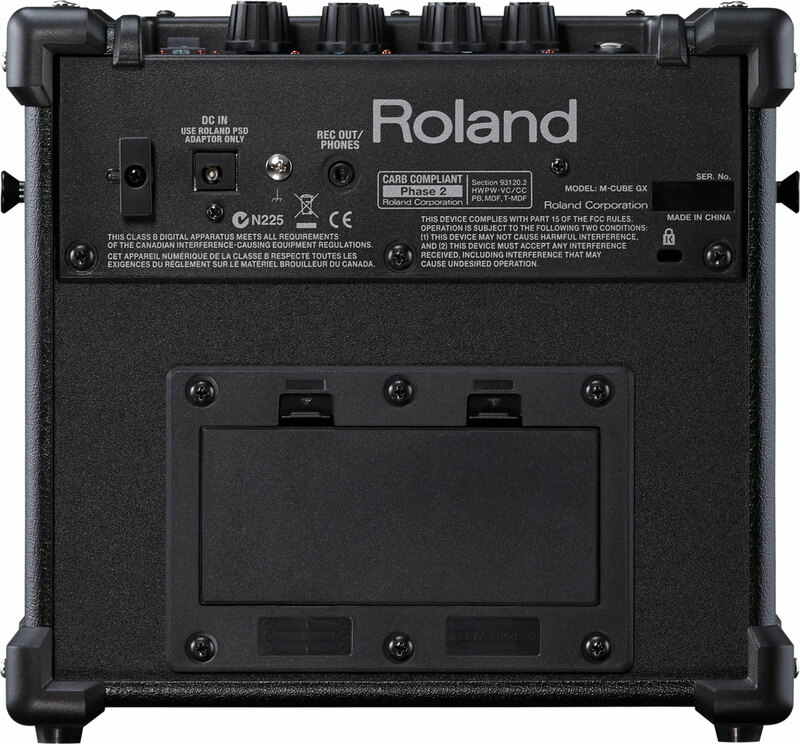 Roland’s new Cube-80 GX is a compact, yet powerful guitar combo for the gigging guitarist. 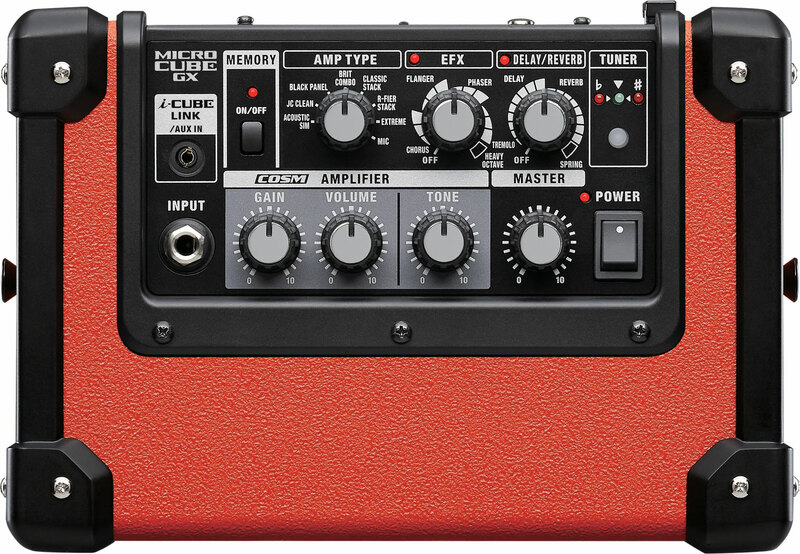 The sounds on offer cover all bases, and the amp types and effects all sound great. Depending on your guitar of choice there can be a very slight tendency toward a crowded lower-midrange – especially with clean sounds – but this can be easily kept in check with the amp’s nice EQ-section. I feel that if you want to use the Cube-80 GX live, buying the GA-FC-controller is almost compulsory, as it is the only way you can fully control all the combo’s functions on the fly. 100 euros seems a bit steep in relation to the Cube’s own price tag, but from a practical standpoint the additional outlay makes a whole lot of sense. 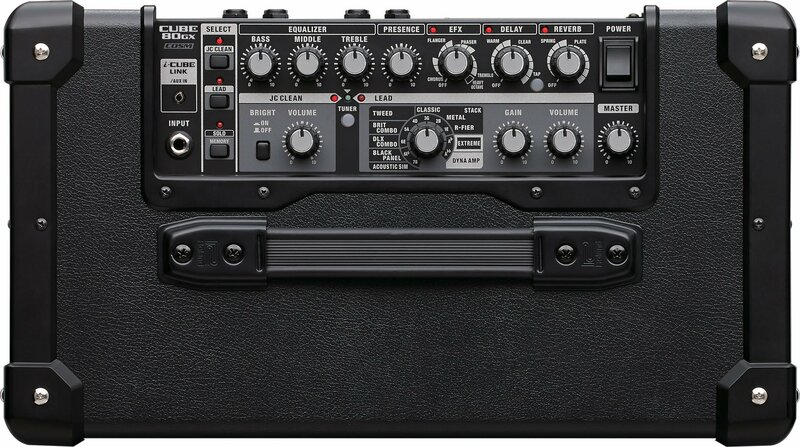 Be that as it may, Roland’s Cube-80 GX is a cool amp for both gigging and studio use. Roland’s Cube GX-series is a good choice if you want a wide variety of different amp tones and effect sounds to choose from. For teaching and/or practising purposes the iOS-compatibility and Roland’s own Cube Jam-app add a lot of value to an already very enticing package.